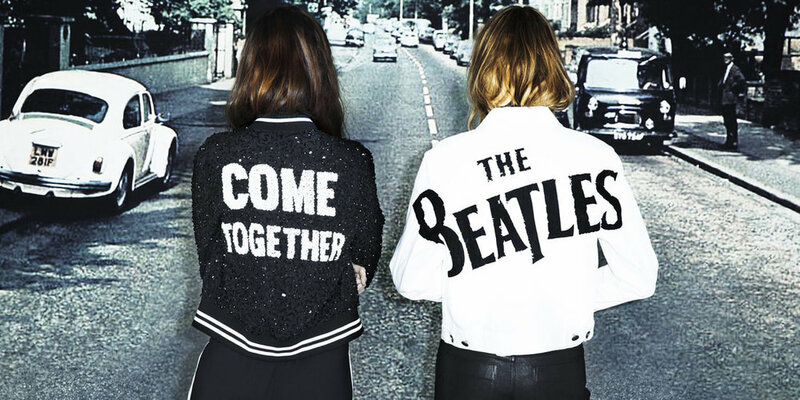 All you need is love...and the vibrant looks from Alice and Olivia’s new Beatles collection! Stacey Bendet’s NYC brand is making history by becoming the first womenswear brand to collaborate with the iconic band. The 15 pieces in the limited-edition capsule collection have a vibrant, retro feel, with a touch of positivity embedded within each design. 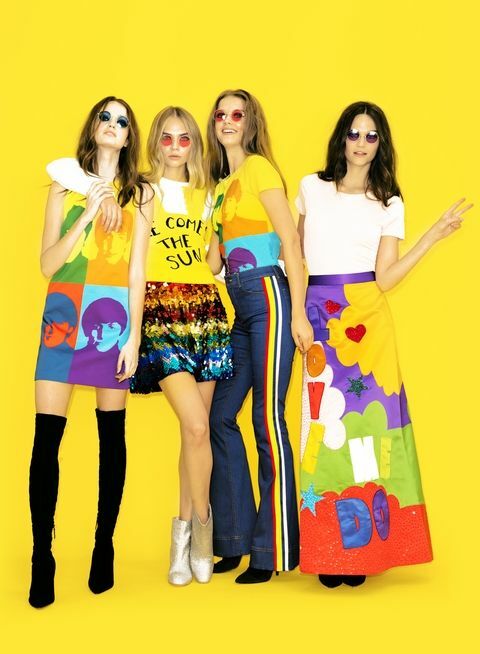 Some of the standout pieces that were influenced by the Beatles’ 60s aesthetic were a t-shirt dress inspired by the Abbey Road album cover, a sequined bomber jacket that says “Come Together,” a bright yellow “Here Comes the Sun” crossbody bag, and a color-blocked, floor-length “Love me Do” skirt. I was fortunate enough to get a private viewing of the new collection at the 65th Street store location. These snapshots I took of the new collection will not let you be. Get to your nearest Alice and Olivia store ASAP to purchase the designs!